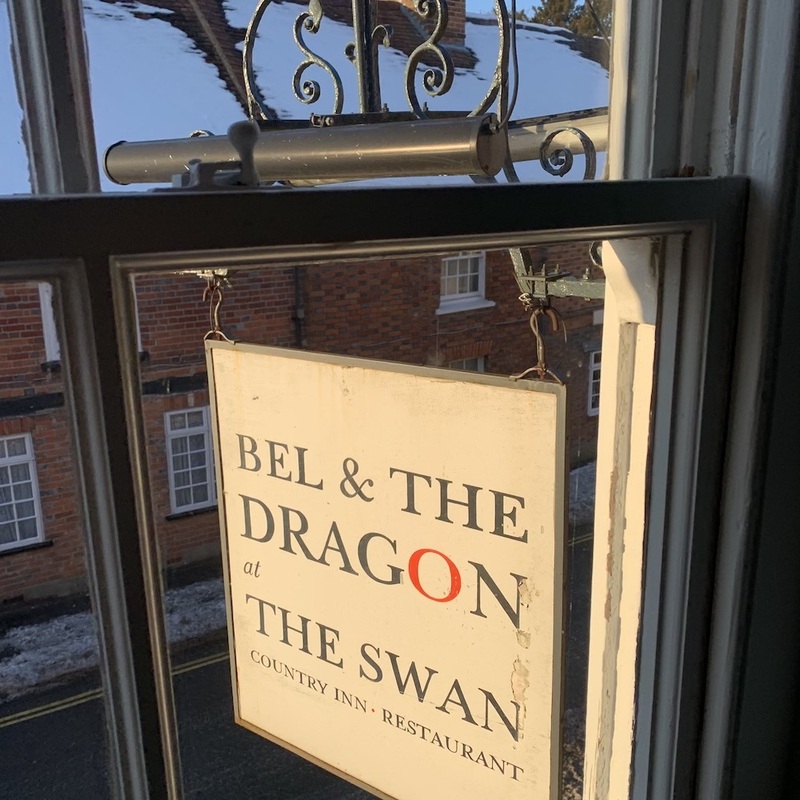 The Bel & the Dragon at The Swan is nestled on one of the main streets of the super cute – and very traditionally English – village of Kingsclere, up near the Hampshire/Berkshire border. 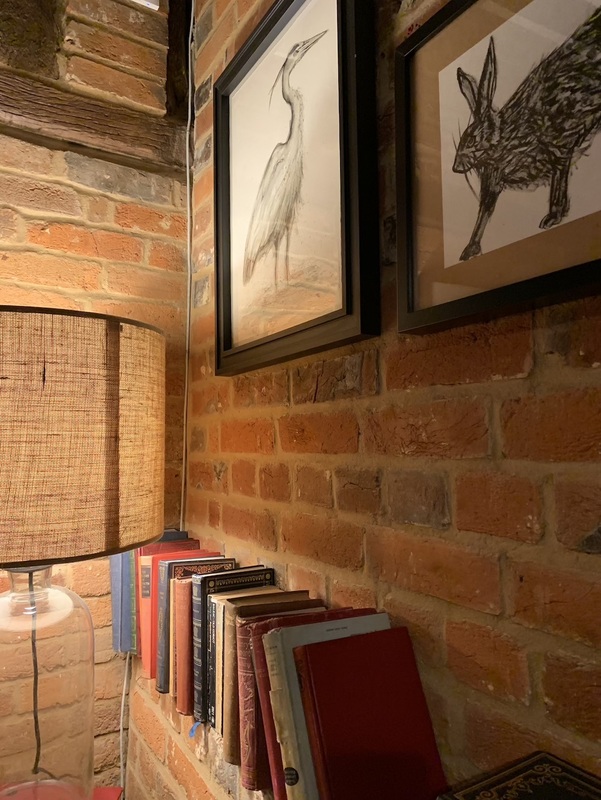 This 15th-century coaching inn has all you would expect from a village pub with its roaring open fires, exposed wooden beams and the low-level buzz of villagers. 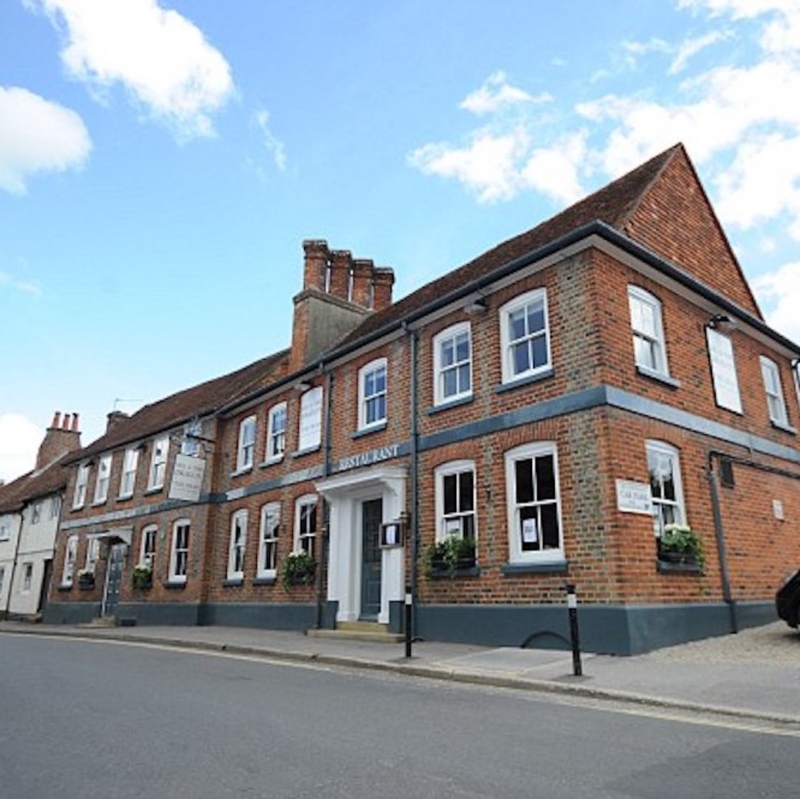 It’s part of a small chain of pubs that include spots in nearby Odiham, plus over the borders Cookham and Windsor. 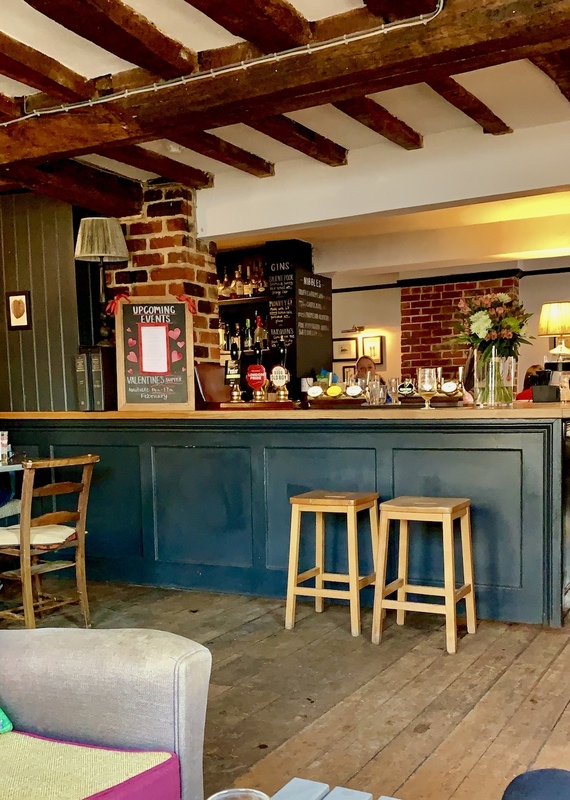 Food is one of the main pulls here and with a menu designed by the Group Head Chef Ronnie Kimbugwe, there’s a real traditional British gastropub vibe to the offerings. 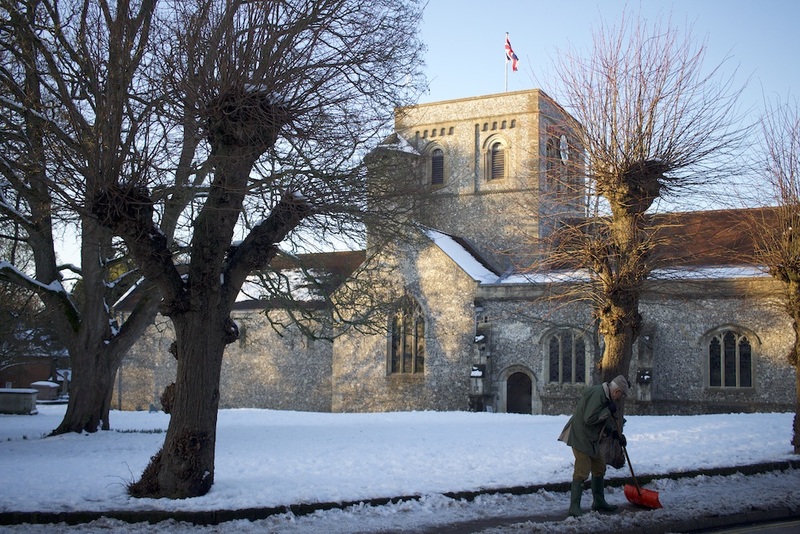 The day we arrived the nearby area had been absolutely blanketed under a lot of snow, and getting into the pub’s carpark would have been rather tricky had it not been from the local villagers out with shovels clearing every surface going (much-appreciated people of Kingsclere). We entered and found the pub packed with local people staving off the cold and cabin fever from the weather. The open fires were roaring and there was an excellent selection of adorable dogs in their cold weather gear to fuss over. 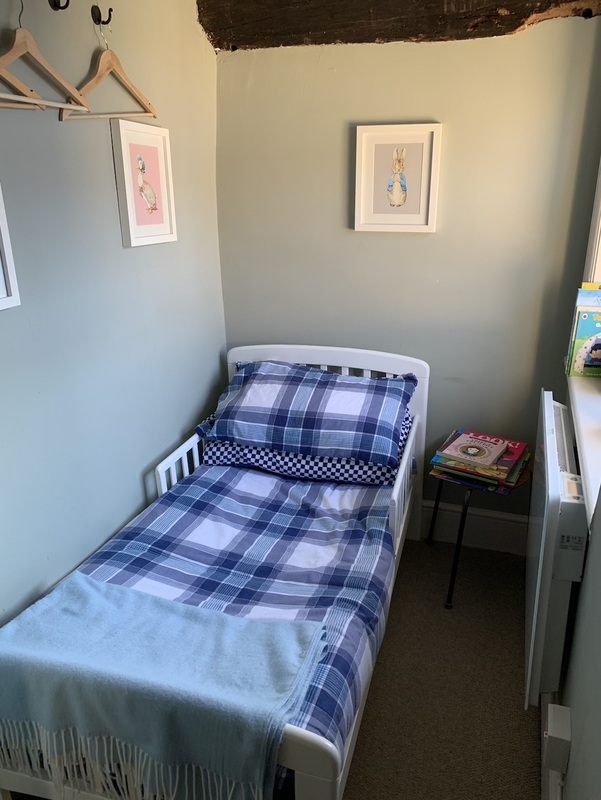 Each of the nine rooms at the pub has a distinct personality, and our room was a family en-suite came with a separate sleeping area (see below) for any small people that came with you. Thankfully we were sans kids this weekend (hooray!) so we didn’t have to worry about hiding the complimentary bottle of Sipsmith’s Sloe Gin that greeted us on arrival. 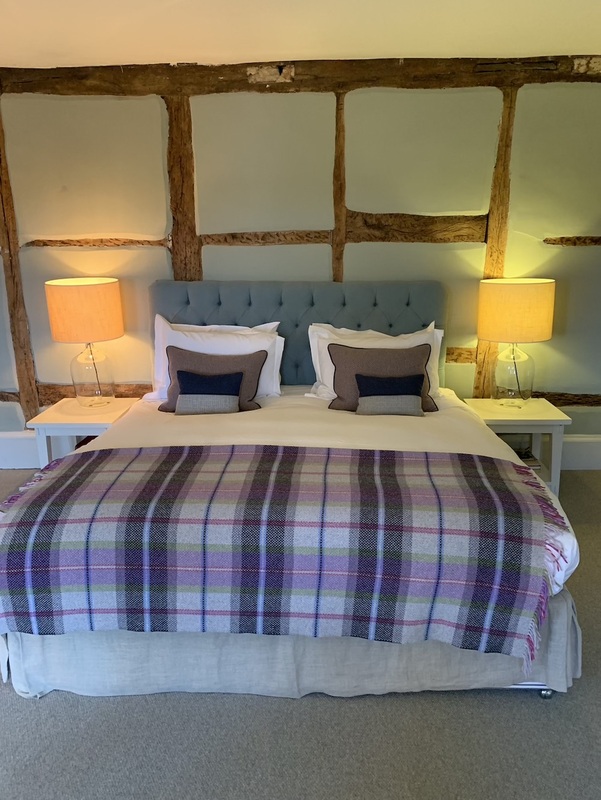 The bed was a generous king-size and with a firm mattress, incredibly comfortable and the room came with its own thermostat which was handy considering the snowy exterior and the traditional, single pane glass in the windows. The bathroom, in comparison to the beamed and heritage coloured bedroom, was very bright and modern. 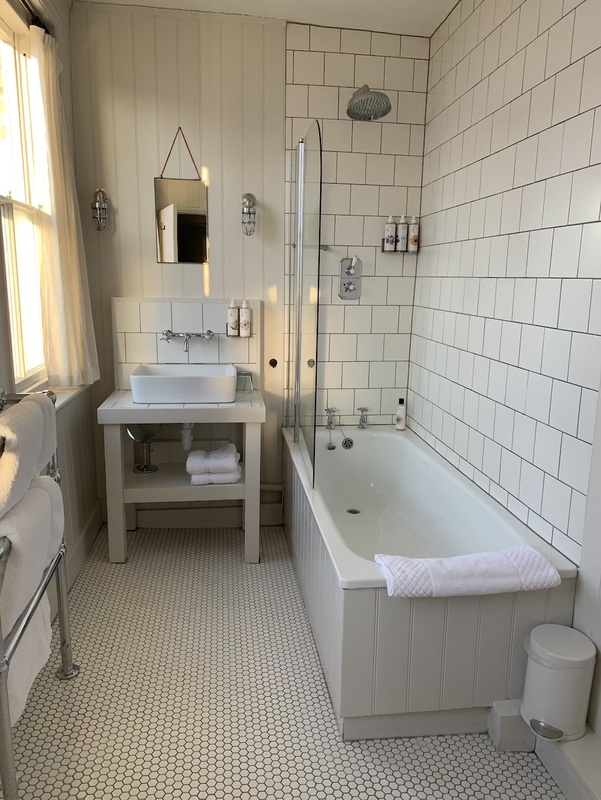 The decor came with honeycomb tiles with underfloor heating and a well-sized bath. Lots of nice toiletries were provided which was ideal for a well-deserved bubble bath. There are no tea and coffee making facilities in the room itself, but around the corner we found the Drawing Room which was packed with – you guessed it – even more books, a swishy Lavazza machine (that we honestly didn’t take 15 minutes of Googling to work out how to use), board games and a bottle of Glenfiddich to treat ourselves to. Just so you’re aware the room had a certain level of noise coming up from the pub. These old buildings are notorious for having thin walls and we could hear music and people chatting downstairs – though, to be honest, it wasn’t particularly rowdy and you’ll expect to have some noise when staying in a pub. 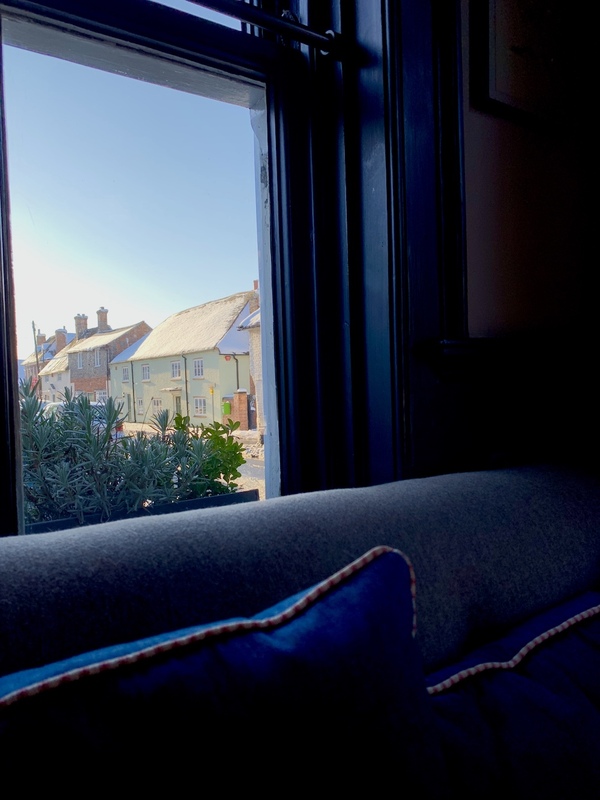 Food and drink at the Bel & the Dragon are kind of a big deal, and in fact, they offer a range of special getaway packages including their dinner. The restaurant is spread out throughout the building with little nooks and crannies to pitch up in. They also have a yard which has a firepit and in summer has its very own pizza oven. It’s not huge (so don’t expect any kids play equipment) but it’s tucked away from the main road going through and has a vibe much like popping to a friend’s for a BBQ. For dinner, I opted for the Potted Cornish Mackerel & Toasted Rye (£12) to start. 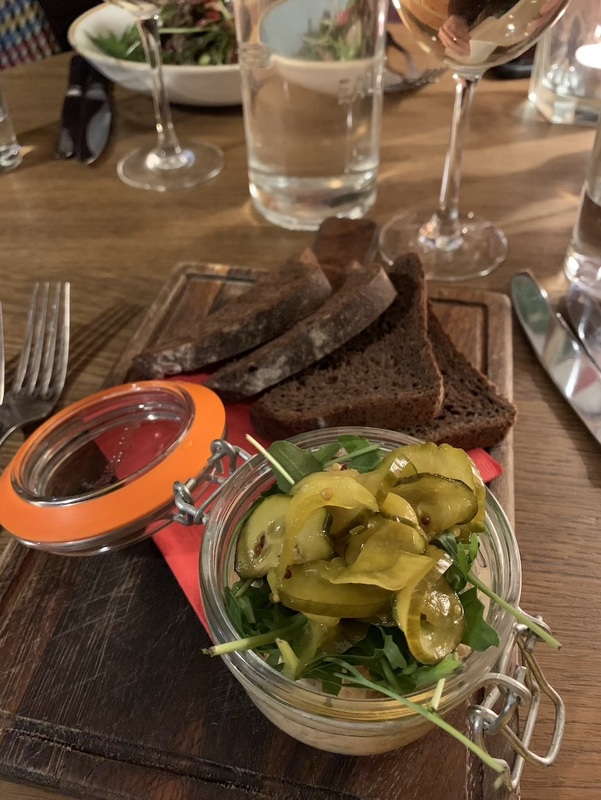 Served on a wooden board with pickled cucumber and rocket salad, there was plenty to go around and was absolutely delicious. Not too heavy, not too fishy and extremely smooth. 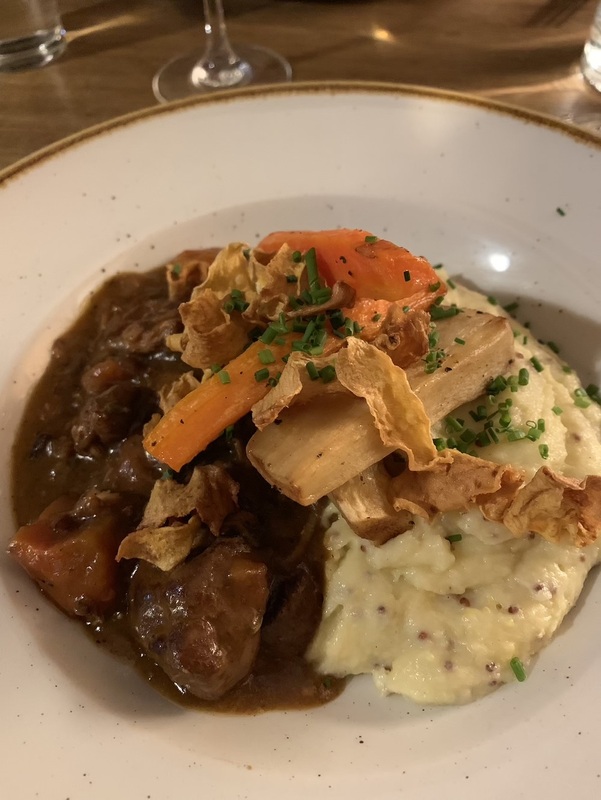 Given all the images of local wildlife on the walls and the foot of snow outside, I opted for the Hampshire Venison & Game Stew with Mustard Mash, Cranberry & Swede Crisps (£15) and it definitely hit the spot. The flavour was deep and rich (something I can never manage to do myself) and absolutely packed with meat. The mustard mash was a perfect accompaniment, and although the portion looked modest I couldn’t finish it all. We opted for the house white which was a Colombard blend to go with our meal at £5.50 for a large glass. The wine menu itself was extremely extensive and catered to every taste and budget. 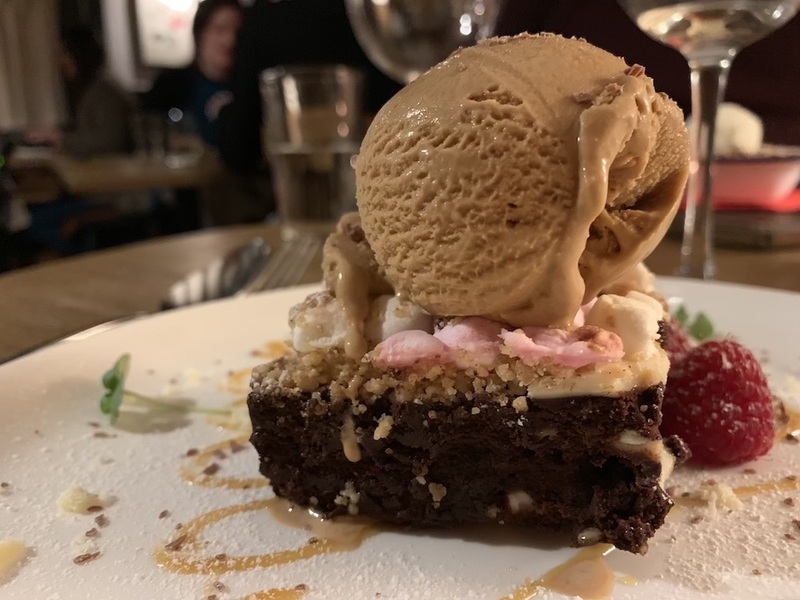 The dessert menu had everything from traditional crumble to a Rocky Road brownie (£7) (see below), as well as sharer options such as Baked Alaska and a cheese board as well. Although we were a tad restricted by the weather, we managed to have a walk around the local village. There are small boutiques such as No1. George Street and cafes to stop at, plus lots of lovely old buildings to admire. 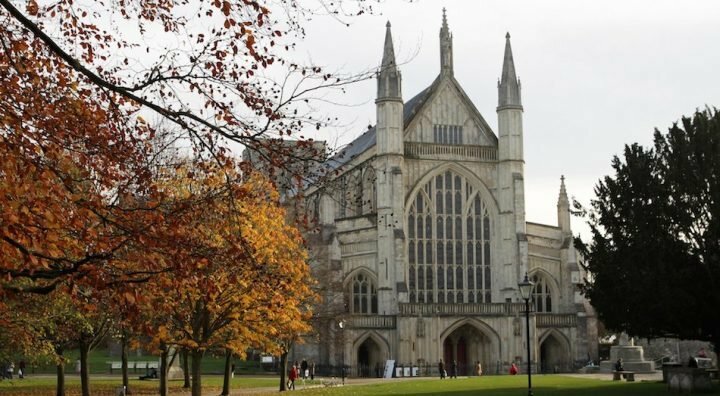 If you jump in the car and head down the road you can swing by the nearby Bombay Sapphire Distillery or Downton Abbey’s famous Highclere Castle. 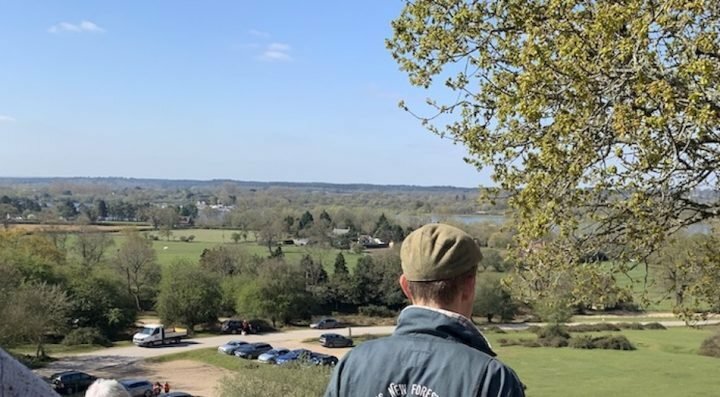 It’s also just a short drive from Watership Down, an absolutely picturesque spot and not quite as scary and gory as books and TV would have you believe. Good for: A romantic getaway with someone special or a night away with your bestie. The pub is cosy and has tonnes of character, as well as very well stocked gin selection. Not for: Those who need absolute silence to sleep. You are effectively in a pub and there will be noise associated with it as such. And although this place is super family friendly (with a family room, extra beds, highchairs and kids menus) I would have struggled to relax with my kids squealing and disturbing other guests through the walls. 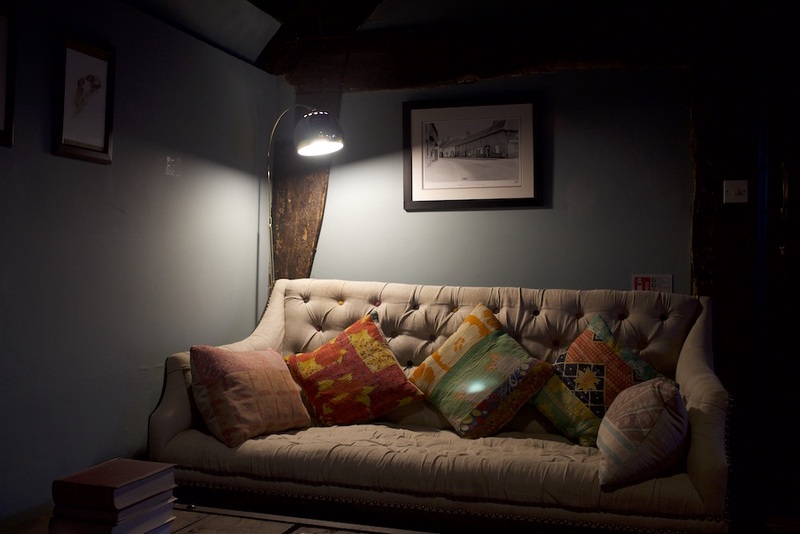 The Damage: A room for one night midweek starts at £90.00, rising to £115.00 at the weekend. They offer a number of packages including a weekend getaway deal for dinner, stay and breakfast for £220.00 per couple.